The USAID-funded SPICE program, implemented by the Open Institute, facilitates social and business innovation using communications technology and improves communications in Khmer via mobile devices. 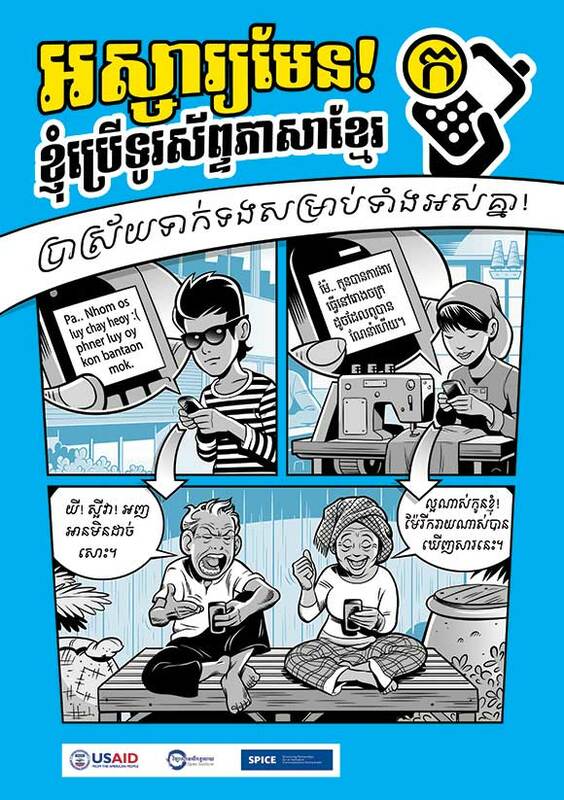 The purpose of the program is to build on partnerships between technology-oriented civil society organizations (CSOs) and private sector entities to utilize existing technologies to promote and deliver a greater diversity of information to the public, improve communications in Khmer using mobile devices, and increase the capacity of CSOs to use social media for development purposes. 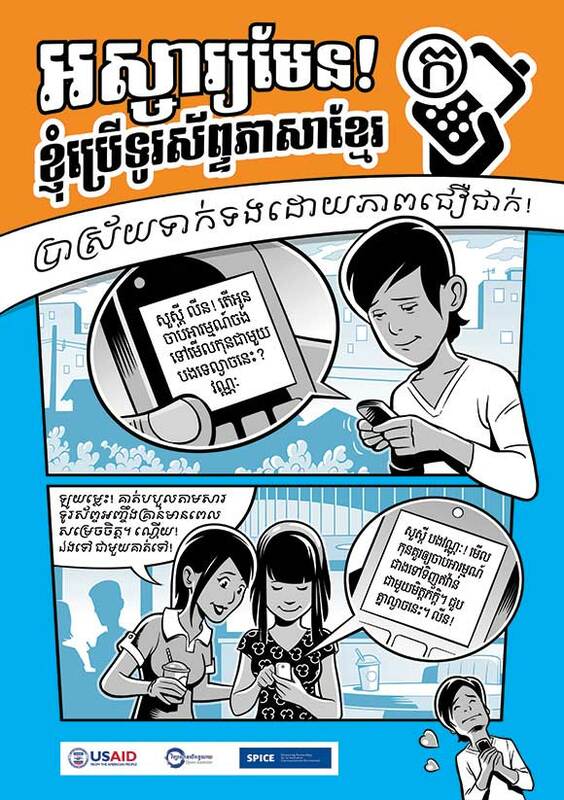 Open Institute Cambodia commissioned Jose Encinas to produce two A1-size posters to be distributed through a great number of phone shops in Phnom Penh.